Our staff enjoys good relations with the staff at our sister camp across the lake. They’re a lot of fun and you’ll have ample opportunity to get to know them. You know, at Manitou we treat our counselors like adults. We impose limited restrictions on how you spend your off-duty time, as long as your actions don’t affect the camp and your ability to effectively do your job. 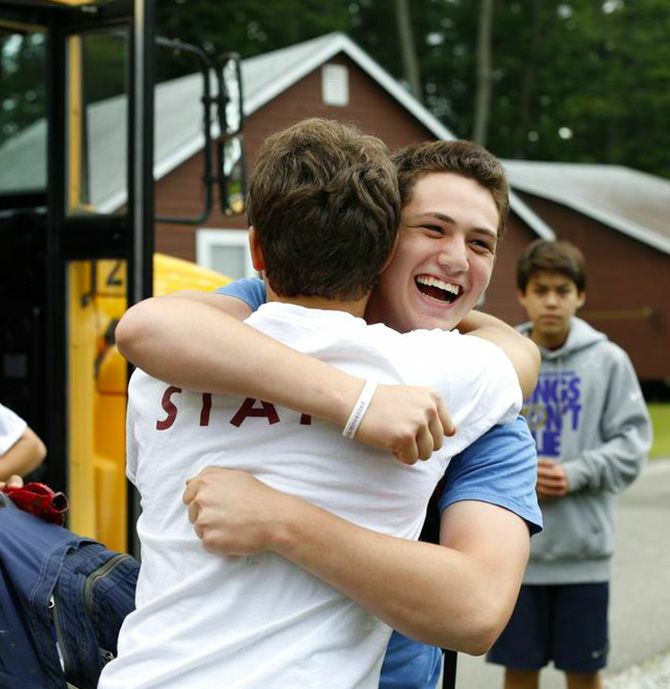 Prospect: How can I keep in touch with friends and family while I’m at camp? Dave: Most staffers keep in touch at TouBucks, our staff-only lounge with high-speed internet, email, and phones. There’s cable TV in there as well. Prospect: Wow, working at Manitou sounds like a lot of fun! How do I sign up? Dave: Fill out our online application and we’ll take it from there. Typically you’ll get a confirmation email immediately after you apply, then we’ll look over your app and get back in touch within a week to set-up an interview. If you have questions, please call us at 800-326-1916. ASAP After your application is accepted, you will be mailed a contract. Sign and return it along with your shirt size. Request a Staff Guide and review it for travel and packing info. E-mail a picture (head shot) of yourself along with your travel plans to and from camp. June 1 Log into your online account? and complete the Health History Form (signed by a doctor) with a copy of insurance information. June 1 Complete your W4 (available via your online account) and optional Direct Deposit form. Send copies of any certifications held to the camp office. If you haven’t already, request a copy of the Staff Manual.